These castle ruins are a 10 minute drive from our house and then a 10 minute walk through the forest. 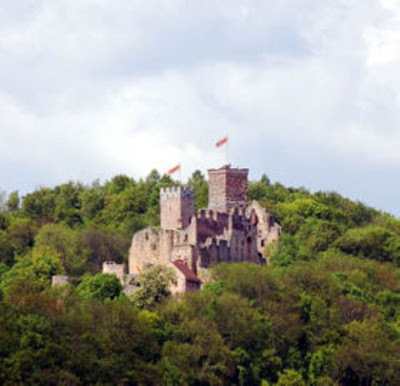 Burg Roetteln was built around the year 1200 and is the third largest castle ruins in our region of Germany. Its a great field trip destination for our elementary school kids! Why does this remind me of The Flintstones?! I am enthralled("filled with wonder and delight" as defined on the web) by God's amazing creation. I get to enjoy it every single day! I find beauty in a blade of grass, but God has given me so much beyond that to soak in and be wowed by! I love the way the author of "The Shack" describes this master Artist's creativity......(this is Jesus speaking in The Shack)....."I'll never get tired of looking at this. The wonder of it all - the wastefulness of Creation.....so elegant, so full of longing and beauty." I find that every season of the year is full of beauty, but fall in particular, is abundant with vibrant colors. Sometimes I stop and thank God for eyes to see and a healthy body that allows me to get out and enjoy! My small group is getting bigger! This is our "meeting place" each week - around the table! Lizzy from Sweden and Jessica from Ethiopia are new to our small group this fall. Jessica joined us just last week. Korea, Uzbekistan, France, Sweden, Switzerland, and Ethiopia are represented here! 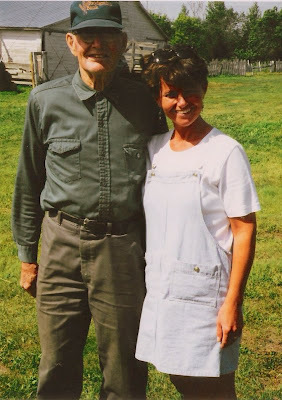 I have been thinking about my dad lately and missing him. One of the bike routes I take goes past some horse farms(photos below) and this is one of the reasons I am missing him because so often when I see horses, I think of dad. Dad loved horses and horses loved him! He had a way with them. He knew how to care for them, how to talk to them, how to make unruly horses obey! Over the years he had various teams of horses and buggies, and he was known in our neighborhood for driving around and taking kids for rides out in the country. 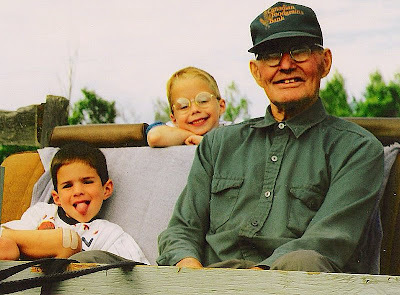 There are 20 grandchildren in our family and they all loved coming to Grandpa's farm for buggy rides. Even us older kids loved this. 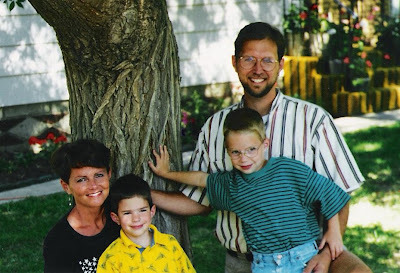 11 years ago today dad passed away. That is another reason that I am missing him. 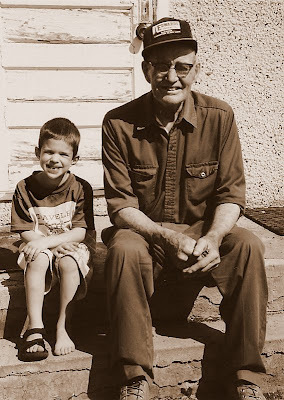 I love this picture of Tyler and Grandpa sitting on the rather dilapitated steps of our old abandoned farmhouse. Not sure what happened to Tyler's other shoe.....! 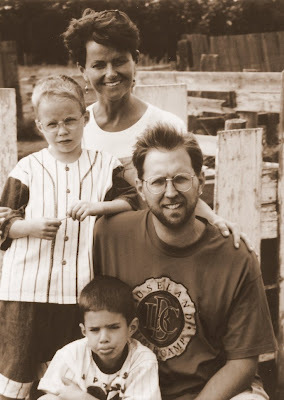 These pictures were taken in the summer of 1996, a year before dad passed away. 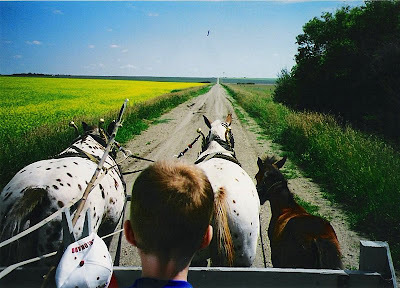 Here we are going for a ride by our farm with one of dad's team of horses. The little colt is walking beside his mother because dad was trying to break him in. Going for a ride with Grandpa! Last night Tim and I hosted the staff who are new to BFA this year. There are 39 of them altogether. Our house was a little bit crowded but we had a wonderful time together! We are so grateful to God for the incredible team He has given us to work with. This weekend Tim and I went to see "Stages" in the beautiful quaint town of Staufen. This event depicts the town's history/story and takes you back in time, covering a period of 1200 years. The whole town participates including young and old. There are over 600 people who wear costumes representing different time periods. The costumes are amazing as well as the performances which take place in different sections of the town, each depicting a different time or event in history. It was truly spectacular! Here is a collage of pictures from around the town.